A loan of $350 helped to purchase poultry. Meet Rosemary: She is a 52-year-old woman who has been a farmer for 22 years. She is based in Sugoi village, where she has a one-acre farm and a small house made out of earth with two habitable rooms. On the farm, she grows vegetables that she uses for both consumption and sale. This business has enabled her to raise three children. Rosemary's own upbringing was so difficult that she never had the privilege of attending school. Rosemary is seeking a loan to venture into commercial poultry farming. With the loan, she will acquire a brood of hens that will lay eggs for food, sale and hatching. This business is projected to significantly increase her income. The birds will also bring life into her home as they will be free-range and scratch the earth for bugs. The money from the investment will enable Rosemary to afford basic needs and save up for the future. This loan will go a long way in empowering her to become a better entrepreneur and improve her family's living standards. 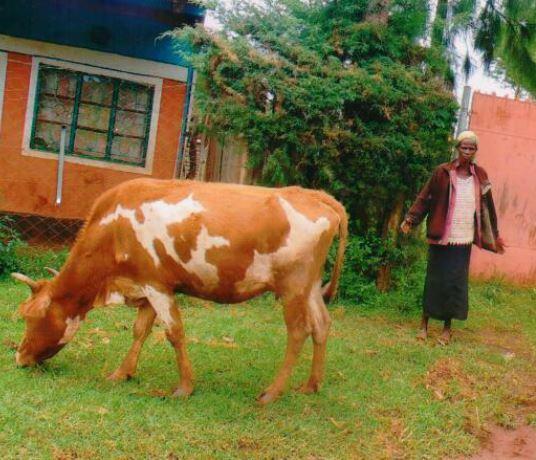 Juhudi Kilimo works with small-holder farmers in Kenya to finance purchases of dairy cows, chickens, agricultural equipment, and other assets that create immediate cash flow. Many of the assets are insured to prevent devastating business losses, and targeted technical assistance is provided to farmers. This loan will provide an income generating agricultural activity for small-holder farmers to improve their standard of living.